Few topics are as controversial among sailors as the quality of the boats we invest in to help realise our dreams of a life afloat. 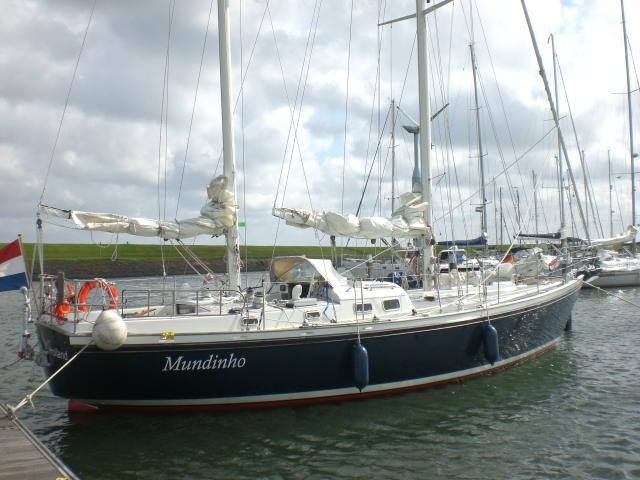 Obviously, choosing a boat ranks as one of the key decisions for any sailor: a choice that proves to have been a poor one can have serious and far-reaching consequences – and is by no means straightforward (or inexpensive) to rectify. Take on too much of a financial burden, leave yourself too much to learn or trust too much to your own handiwork and you could end up in trouble, especially if the press-ganged family, left at the mercy of your orders from the bridge, also has to live with your misjudgements as immortalised in composite, aluminium or steel. A wise choice right at the beginning can make all the difference in the world to the fun to be had under sail, so it seems astonishing that so many of the issues involved are so seldom properly discussed. Polarised debates of the traditional = better/modern = worse type might be very effective at filling pages on internet forums (in the process bringing out the intransigence, entrenched positions, rapid loss of perspective and ruthless jump to character assassination that seem to have become the staple fare of this platform), but they fall well short of the level of insight required. The issues involved are more complex: expect rough seas ahead! It is quite extraordinary that these matters receive so little consideration in the sailing press, although the fact that our press has become, willingly or unwillingly, so dependent on its advertisers might perhaps have something to do with it. Our would-be critics have simply washed their hands of the whole notion of quality, with any criticism limited to fairly trivial points such as headroom, berth length and interior furnishing. The fundamental properties of a product as a seagoing vessel are seldom even considered, let alone subjected to a rigorous comparative investigation. Clearly sailing could never have become widely accessible as a sport without the introduction of mass production in GRP. The smaller the boat, the bigger the potential market open to it and hence the more units to be sold. Optimists and Lasers have been churned out in their millions, or least hundreds of thousands, and while yachts have never shifted in these numbers, their extra features – everything from heads to an engine – make them much more interesting in terms of the value to be extracted per unit. When yacht production first began to move onto something approaching an industrial scale, the small number of manufacturers offering boats at shows in Europe could have sold dozens of each model every time they exhibited. 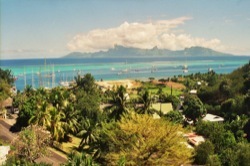 The Seventies and Eighties were gold rush time as sailors beat a path to the boatyard gates and demand soared. 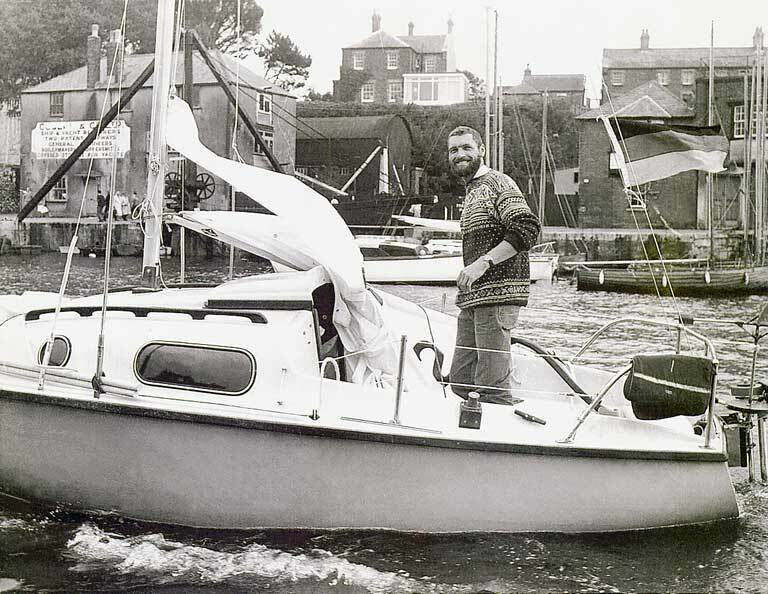 Brian Meerlow and his team in England built thousands of their Leisure yachts, for example, back when nobody worried about breathing in styrene vapour and extractors were unheard of. Coincidentally it was to Brian that the founder of my company, John Adam, turned in 1968 in his search for something small and seaworthy to win him some respite from excessive strife on the domestic front. 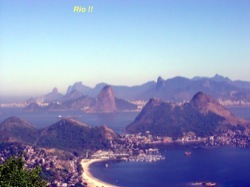 Armed with a Leisure 17, he headed West and eventually found himself on the beach in Cuba having fallen asleep and run aground. 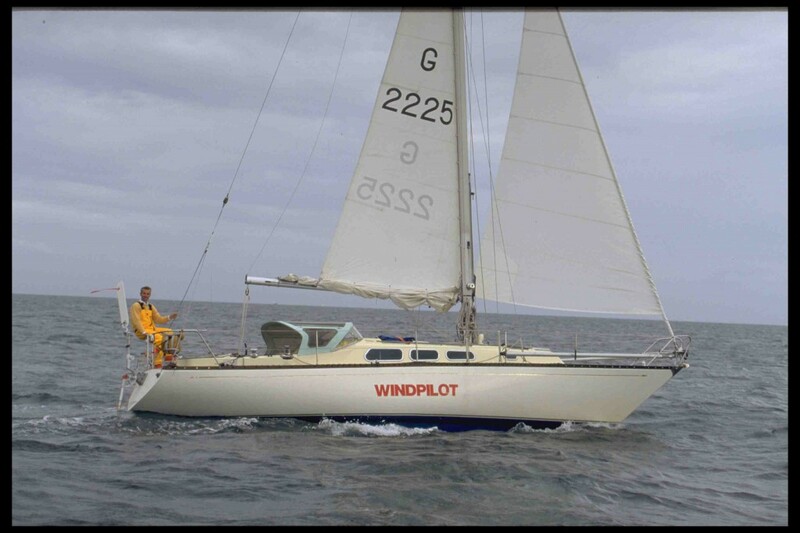 It was while cooling his heels in one of Castro’s prisons that he made the decision to set up Windpilot: the first vane gear had after all passed its test with flying colours (keeping watch – then as now – not being a part of its remit). The number of people eager to get afloat was simply too high for traditional production methods and craftsmanship to cope. 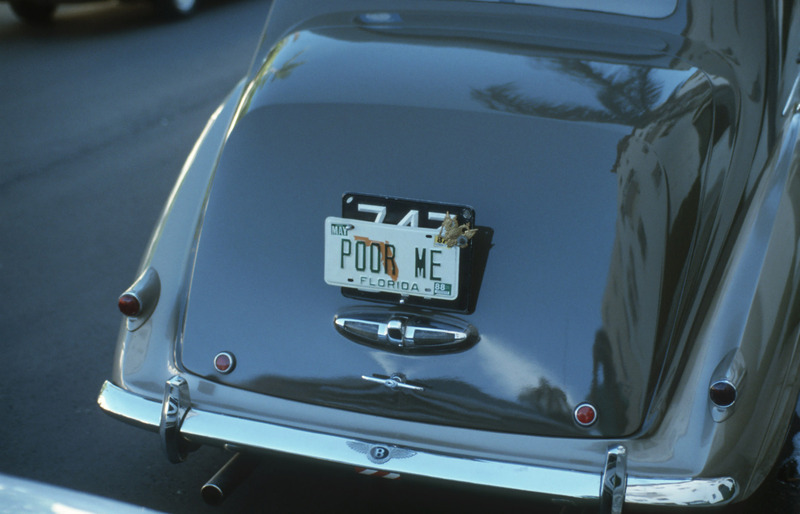 Consumers were no more patient then than they are now: once they felt the itch, they wanted deck beneath their feet and pronto. When it comes to impatience, children on Christmas Eve have nothing on grown men and women waiting for a new boat to arrive. The transformation in the nature of boat building precipitated by these pressures was dramatic. The process was – almost literally – turned upside down (or inside out, depending on your point of view) and ever since, boats have been built the wrong way around: today everything starts with the skin and not the bones. Henry Ford started exploring the possibilities of assembly line production a century ago, but it would be another 60 years before boat builders first sat up and took notice. 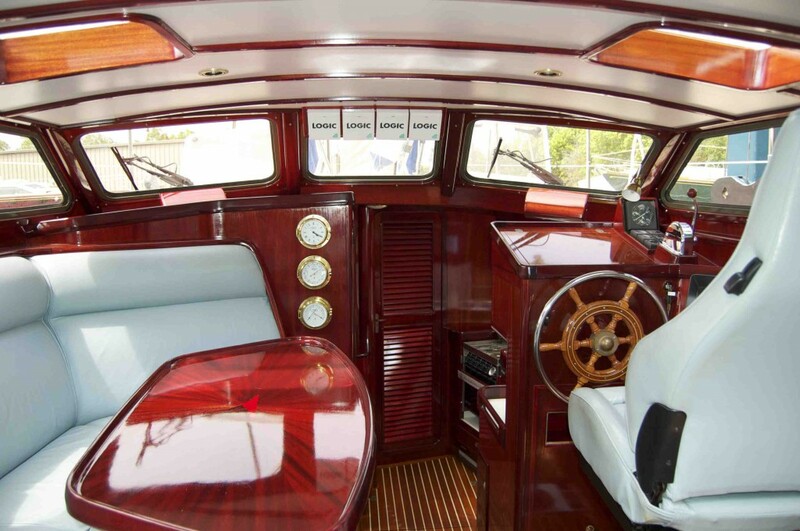 A finished hull of this nature came ready to sail; there was no need for extra interior structures or fittings to help spread and absorb the working loads. 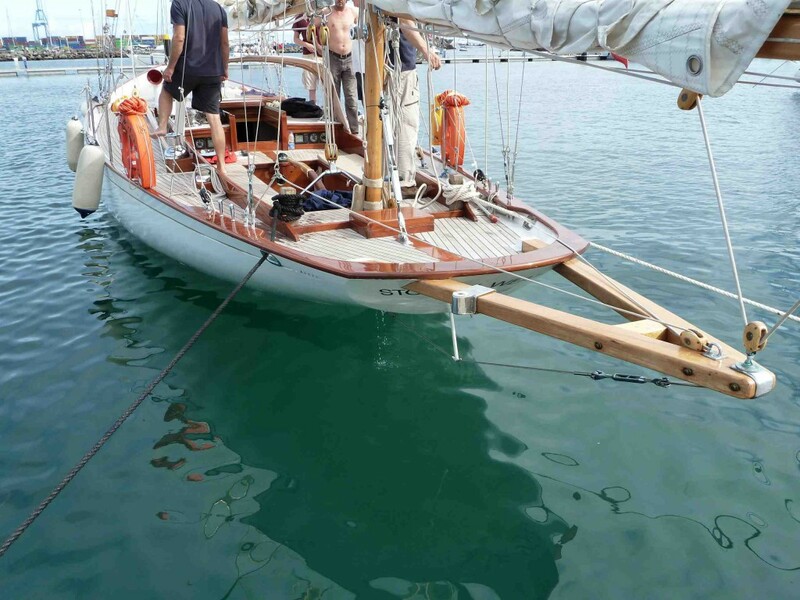 To keep the weight down, racing yachts often started life with nothing below but pipe berths and were only fully furnished at a later date if and when racing gave way to luxury cruising. Whether to hit the race course with a crack crew or embark family and friends and concentrate on seeing and being seen was a matter for the owner: the yachts were tough enough for both lives – in fact they still are. In those days the cost of the hull made up an eye-watering proportion of the overall price of the boat. 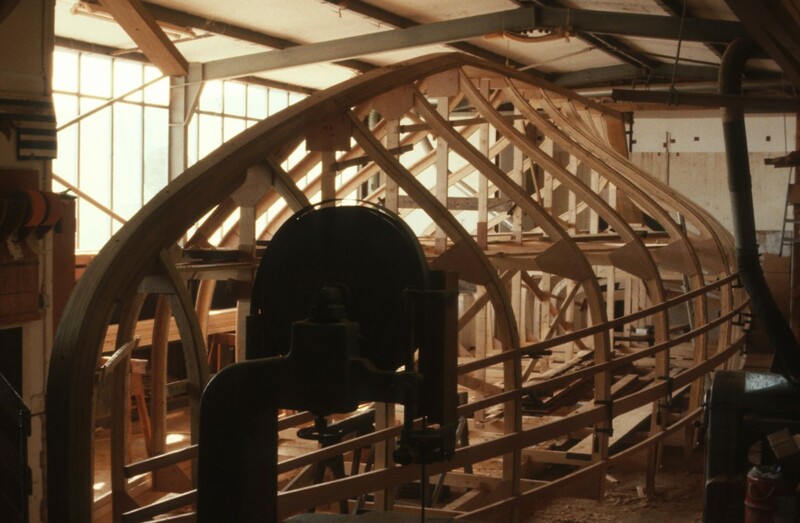 Boat builders were craftsmen, not magicians, and bending wood takes time (although of course man hours were not at all expensive in that era). 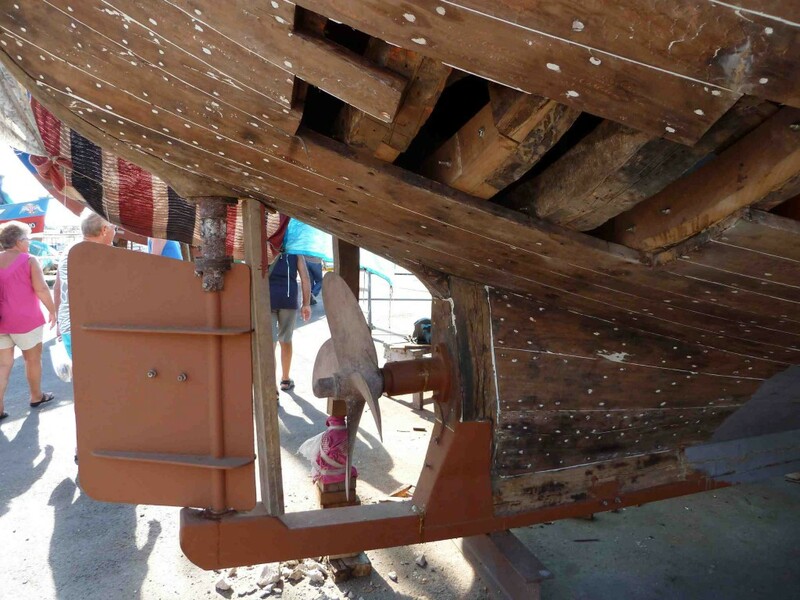 Rationalizing hull construction was the logical way to go – and it is here that the rot set in! Once a female mould had been engineered, ready-made boat shells could be turned out one after the other like so many bread rolls in a process that suddenly no longer needed the expertise of skilled boat builders. It is characteristic of the modern classics that although they have a GRP hull, they were still fitted out by craftspeople, that is to say skilled boat builders still had a hand – and earned a crust – in their production. 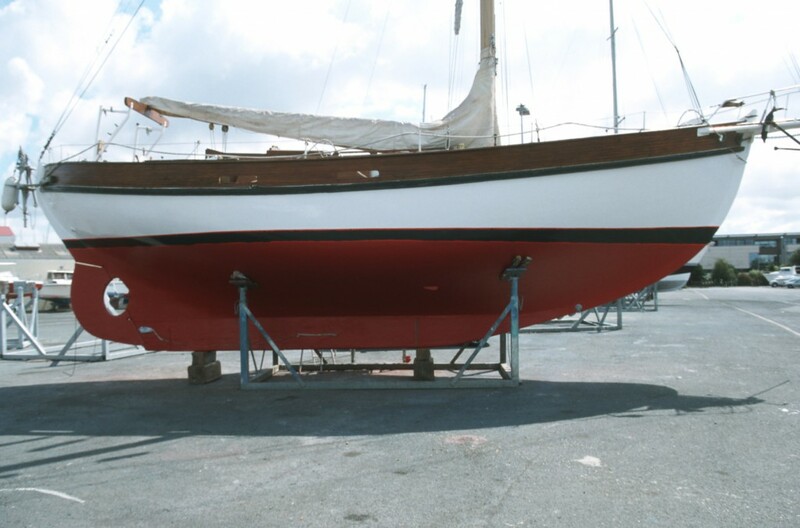 Also no secret is the fact that older GRP boats tend to be considerably more solid, because stringers, bearers and wooden interior components are all laminated into the hull. The resulting structure is very stable, especially since the stringers and bearers are bonded face-on and the interior components edge-on. Take my Hanseat boats, of which I have had three, for example. They were always perfectly quiet to sail even in a good breeze and the deck never creaked even when the summer hoards stampeded across on their way from the far end of the raft to the bar. In those days sailing boats were still seen and not heard. Modern classics enjoy great popularity today because of the way they combine the beautiful lines and traditional craftsmanship of old with modern materials. And, at a more basic level, because of the way they allow families – even those members with a more sensitive nose – to take to the sea without the damp reek of stale air and musty socks that tends to pervade the more traditional of traditional craft. There is more to boat building than right angles; indeed their very curvaceousness accounts for a big part of the appeal of those striking little ships whose lines alone set hearts pounding and bank accounts quaking. On a more practical level, it also makes sure that no matter how soundly you slept, you quickly remember that you are on the boat and not in the house. Rights angles really were an unusual sight in this era, which for me explains much of its charm and elegance. The visual language of traditional design was emotional: function followed form and not vice versa. Today the mainstream marches to the beat of a different drummer, with aesthetic concept and product shaped by marketing diktats and design vocabulary serving only to ensure brand recognition and distinctiveness. The boats of the past were undoubtedly more robust. They had a backbone and ribs, meaning they were better armed against ramming, stranding, grounding and other extreme encounters, and carried their rudder firmly mounted and safely tucked away in the sweet spot at the trailing edge of the keel. Modern yacht design specifies no such backbone. It has been spirited away to be replaced, here and there, with other structural members in much the same way that many car manufacturers have done away with any distinct chassis to leave each individual component apparently supported only by the parts around it. 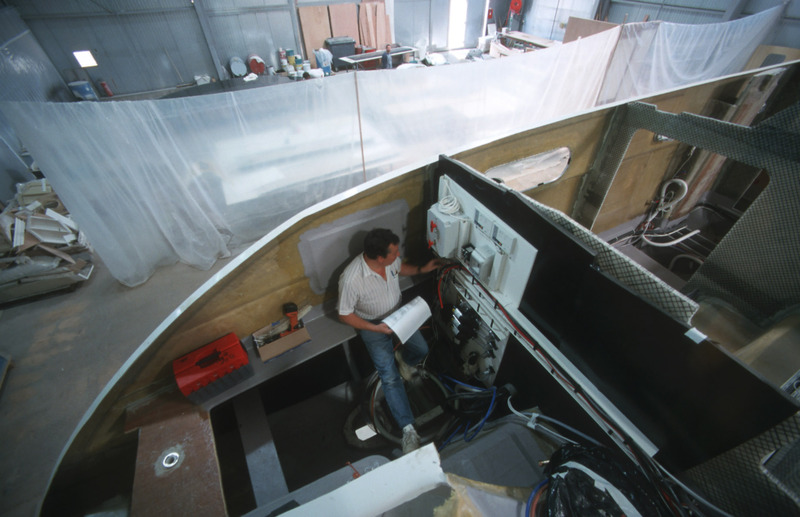 Interior shells and moulded parts have increasingly driven traditional boat building out of interior construction too on the basis that separate units and components can be mass-produced rapidly and installed inside a bare hull equally quickly. 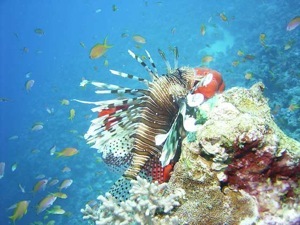 Boats today are built in a modular fashion, which simplifies customizing and cuts costs. Moulded components can also incorporate rounded edges and corners at no extra cost to suggest at least a token element of design flair. This video clip of a guided tour of a well-known yard illustrates the modern process. The commentary is in German, but the images really speak for themselves. 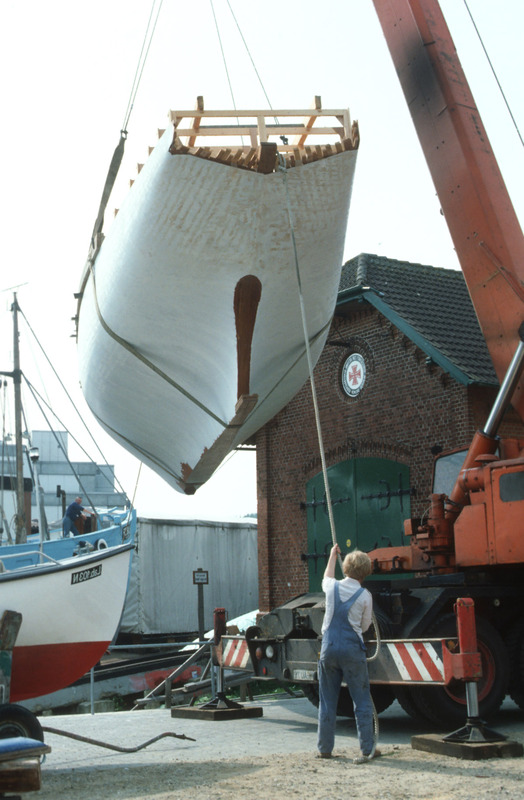 Today hulls are reinforced in critical areas with bulkheads, interior shells, longitudinal stringers and space frames to make sure that when the boat is lifted out, the keel comes too, that the engine doesn’t slowly make its way up the boat while motoring and that the pressure transmitted from the mast above when sailing close-hauled does not leave hapless crewmembers marooned in the heads. The most extreme designs include additional metal structures to distribute the loads. Some would have us believe that modern boats are more solid than ever, but can we really believe that? Space has become a more compelling argument and the obvious response has been to do away with the traditional foundation of a strong hull – its frame and ribs – without putting anything obvious in its place. Sailors flock to the resulting space(ous) ships like moths to a candle, for it seems the number of berths has become the measure of all things (and has a not insignificant effect on the price). And who ever stops to consider how this wonder came to pass? Who seriously spends any time thinking about how much – if any – effective load-bearing structure there is behind that smart interior shell? Perhaps it’s all a matter of perspective. After all, what we don’t know might not hurt us. Although … once I saw a sailing boat at one of the big boat shows that had been sliced in half longitudinally and I couldn’t help noticing just how little substance there would be between the sailor asleep in a bunk of a heeling yacht and the fish swimming past outside. Did that strike a chord with anyone else? 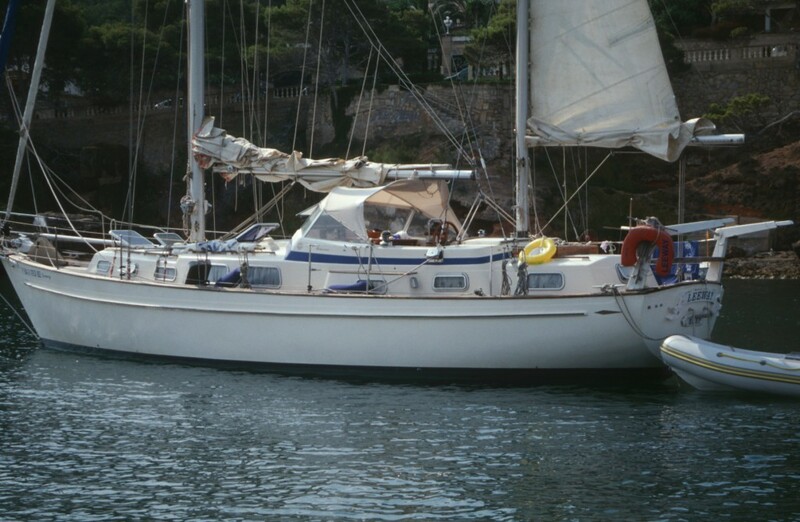 It is no secret that mast, rigging, sails, engine, keel and rudder pull and push the boat in different directions and that hydraulic systems can put a bend in the hull as well as the mast. Only a stiff hull can endure such loads in the long term; once flexing sets in, serious problems are sure to follow. Signs of fatigue on the hull, keel and rudder, soon our constant companions, auger well for the repair and restoration business. Everyone understands that the half-life of a new stripped-out racing machine is short, that at some none-too-distant point in the future that once proud and resolute bow will begin to acquiesce a little as the sea builds. Life is a compromise – and when it comes to rig tension, it can be a fine line between just right and ever so slightly too much. We should also note that thanks to cheap materials and labour – and the fact that in those days nobody realised just how thin they could go – laminated hulls on older boats and those built in the Far East are often extremely thick. Today it’s a different story altogether! The greatest secret in the increasing industrialization of modern boat building is probably the sharp reduction in production times and concomitant increase in value added. Or, to put it another way, why do international investors and the pin-striped locusts suddenly have yacht manufacturers in their sights? 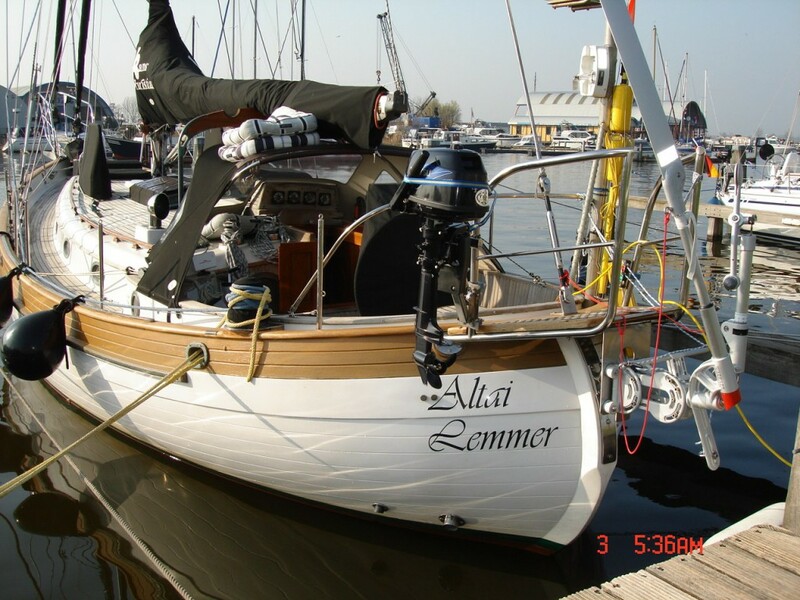 I know of one sailor who, out of love for his wife and in preparation for the big retirement cruise, decided to swap his dark cavern of a steel yacht for a new – and much brighter – alternative. Keen to be, as it were, in the delivery room to witness the arrival of his new home from home, he cheerfully turned up one Monday morning at the yard appointed to realise his dreams expecting to witness the final stages of fitting out. What he saw instead was a bare hull that, like him, had only just come into the building. 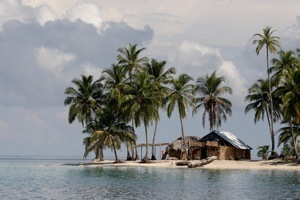 He was astonished – and never more so than when the finished boat was handed over right on time just a few days later. 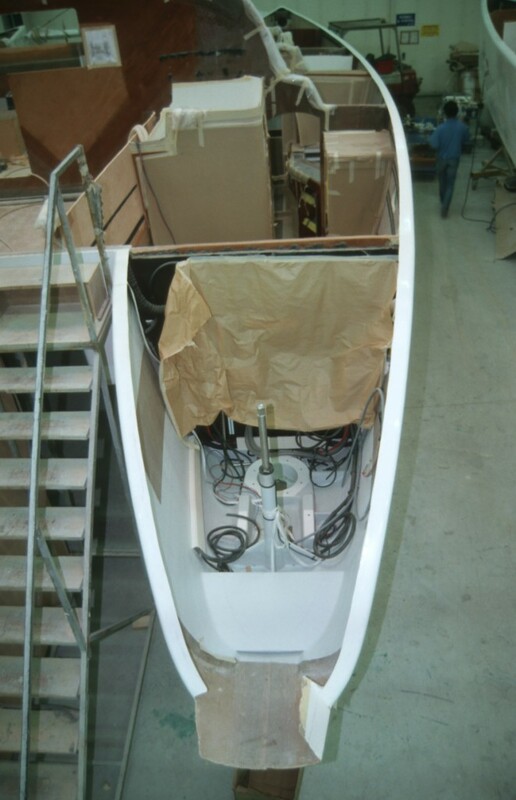 I have seen similar myself in Les Sables d’Olonnes: the project concerned, an imposing new catamaran, was just a week away from delivery and yet there it stood in the middle of the hall, deckless, looking more like a building site than a boat. Neither I, nor the owner and his wife sitting at home in Bavaria with their sea bags packed and poised, could believe everything would be ready on schedule. But it was – no sweat! I always seem to end up comparing money invested in yachts with money spent on property (albeit houses too have their weaknesses with the wind on the nose). In Germany, a new family house in a pleasant setting costs in the region of €200,000 and represents thousands of man hours at a moderate level of value added for all of the companies involved. A production GRP yacht costing a similar amount takes a fraction of the time to create – and is then very often compared in price terms to boats whose construction involves a much larger element of craftsmanship. 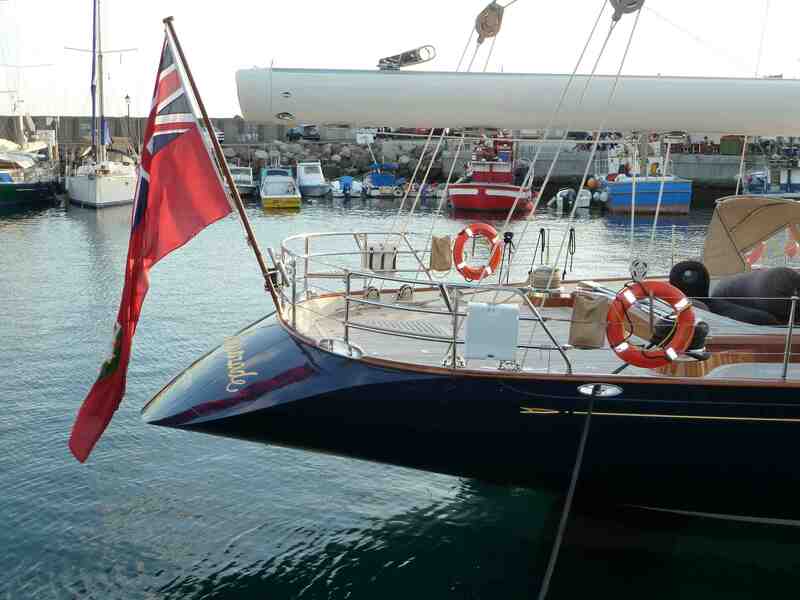 It is hardly surprising then that terms like “quality yacht” always seem to be applied to more expensive vessels. Obviously, one-offs assembled by craftspeople are going to consume more money in the shed. It may be interesting – perhaps shocking – to reflect a little on the hours of work that go into producing a finished yacht. The conclusions in terms of the inherent value of any given boat soon become perfectly clear: you do indeed get what you pay for (in more ways than one). It can also be interesting to look at the second-hand market and see how perceptions of quality and value change once long-term use has had a chance to expose weaknesses not apparent on the boat show floor. True quality reveals itself only in long-term use and it is no surprise the sailor’s brain spends a long time quietly accumulating information before eventually coming to a judgment for or against a particular brand. – in the production of the deck, which has the fittings installed prior to being dropped onto the fitted-out hull to seal the finished yacht like the lid on a jar. That such rapid changes of model are even possible is, without exception, down to the enormous rationalization and acceleration of all processes. Even small production runs can be profitable now. 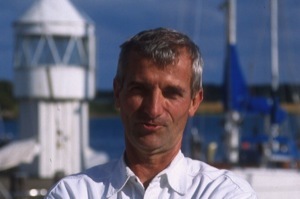 Nevertheless even the biggest yards with global marketing and a lively charter supply business still achieve only modest output when compared with the producers of other high-priced goods, which probably explains the breathless pace of competition: production yachts have to be introduced, promoted and phased out again faster than cars just to keep up the pressure on the other big players in the market. A design lasts just a few hundred units before the focus moves on and the next contender sets sail. In a saturated market, however, there is only limited scope to keep sales volumes rising. We do not (yet) have a scrappage programme for old yachts! 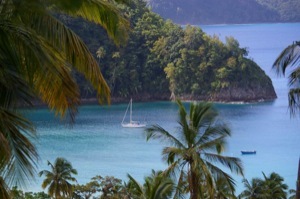 Building a metal yacht remains a time-consuming business and the preserve mainly of one-offs. A high-quality 45-foot custom boat in aluminium might take around 5000 hours to build; a GRP equivalent of the same size would almost certainly be ready to hit the water in a fraction of this time. The GRP version would surely be significantly cheaper too, so it wins hands down – unless, perhaps, other factors like seaworthiness, safety, reliability, suitability for bluewater sailing, performance in use, value-holding ability and ease of resale also come into the equation. But that is a discussion for another time. This entry was posted in Peter´s considerations, The ideal yacht. Bookmark the permalink. The exterior as well as the interior designs need to complement each other – not just for the appearance but most importantly the overall functionality of the yacht. Looking at the given photos above, you can see the dedication and craftmanship involved in creating such a beautiful watercraft. Times may have changed and the manufacturing period shortened, the important thing is that the quality has not changed. I admire those who can assess the intricacy of building a sea craft from concept to the final product – the exterior design complement what you expect to find inside the boat or yacht. Thank you for sharing an enlightening and historical piece on boat building. The boats that set sail today are the ones built with the help of machinery and other advanced technological equipment so that that time period spent on building one vessel will cut short and massive production took over. Gone are the days when you have to wait for months since each order is mostly hand made. There are no complaints regarding the efficiency and quality of the water crafts we have today but it is good to know about a little bit of their history. As time passes, the way these boats are made may have changed but the enthusiasm we have for the seas never ceases.